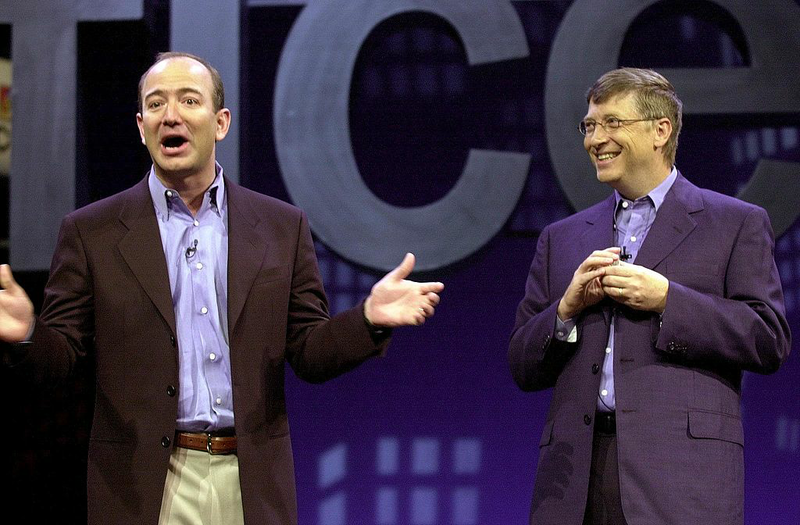 Jeff Bezos and Bill Gates in 2001 - Bezos was one of the first investors in Google, investing $250,000 in 1998. That $250,000 investment resulted in 3.3 million shares of Google stock worth about $2.9 billion today. Jeff Bezos, founder and CEO of Amazon.com, left, and Bill Gates, Microsoft Corp. chairman and chief software architect, discuss Microsoft's new software, Office XP, during a news conference in New York. Gates said Office XP, which was launched Thursday, would improve worker productivity.